The noble Duke of France was banished by his brother Frederick. The good Duke spent his exile in the Forest of Arden in the company of loyal followers, deriving pleasure even from adversity. His daughter Rosalind was kept back at court to act as Frederick’s daughter Celia’s companion. Rosalind and Celia grew to be bosom friends. One day Rosalind met Orlando in a wrestling match. Orlando was the son of her father’s loyal supporter Sir Rowland de Boys. After his father’s death, Orlando was denied proper education and care by his elder brother Oliver who was envious of Orlando’s noble nature. Orlando defeated the wrestler and won the heart of Rosalind. Duke Frederick was angered on hearing about Orlando’s parentage. His admiration turned to bitterness. He was further infuriated by Rosalind’s growing popularity and decided to banish her as well. Celia accompanied Rosalind; they were disguised as Aliena, the country maid and Ganymede, her brother. In the meantime, Adam, the faithful servant of Orlando’s dead father informed him that Oliver was plotting to kill him by setting fire to his chamber. 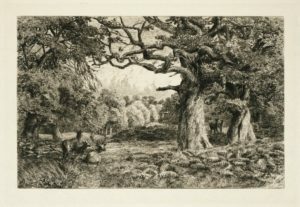 Orlando escaped with Adam to the Forest of Arden. He chanced upon the Duke and his followers while searching for food. They started living with the Duke and his men, scribbling the name of Rosalind on forest trees and hanging poems in her praise. Ganymede and Aliena had, by then, bought a shepherd’s cottage in the forest. They met Orlando and Ganymede proposed him a unique remedy for his love. Following Ganymede’s advice, Orlando visited their cottage every day, and Ganymede pretended to be Rosalind in front of him. One day, Orlando discovered Oliver sleeping on the forest floor, threatened by a snake and a lioness. He saved his brother’s life but got wounded. Oliver, now repentant sought Orlando’s forgiveness. Instructed by Orlando, he went to Ganymede’s cottage to narrate the incident. There Aliena and Oliver fell in love with each other. Oliver decided to settle in the forest with his beloved and give all his property to Orlando. On the wedding day, Ganymede and Aliena came out of their disguises and there was a happy union of Orlando-Rosalind and Olivia-Celia, sanctioned by the Duke’s consent. A messenger came to inform that Frederick was now a changed man and he had desired to return the dukedom to the rightful person.Finally the noble Duke and his followers were restored to their royal positions and the play ends with a happy note of prosperity, love and order. 1. How did the rightful Duke of France spend time in the Forest of Arden? Ans: With a few faithful followers, the rightful Duke of France lived like the old Robin Hood of England in the Forest of Arden. They spent time carelessly. During summer, they marked the playful sports of wild deer from under the shades of trees. They even felt sorry when they had to kill them for food. During winter, the Duke patiently tolerated the adverse conditions. He had realized that even from bitter experiences one may derive benefits. He thought that the bite of chilly wind was far better than the bite of unkindness and treachery. He derived consolation and pleasure from Nature and lived peacefully. 2. How was the relationship between Celia and Rosalind? 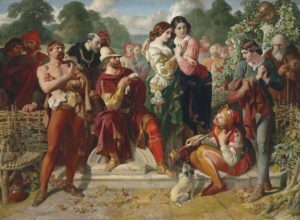 Ans: Rosalind, the daughter of the banished Duke, had a loving relationship with her cousin Celia, the daughter of Duke Frederick. Rosalind was retained in the court to act as Celia’s companion. They grew up to be very close friends. Celia did everything she could to make up for Rosalind’s estrangement from her father and for the injustices done by Duke Frederick. She comforted Rosalind whenever she was melancholic for her father. 1. Where did the good Duke stay during his banishment? 2. Why did the good Duke have to live in a forest? d) He was tired of courtly life. d) The sportive wild deer. 4. What did the good Duke feel about adversity? d) That he was destined to suffer it permanently. 2. Rosalind was treated kindly by Celia. 3. Adversity can only be bitter and useless. 4. The Duke voluntarily chose his exile. 1. Why did the Duke ask Celia and Rosalind to speak to the young wrestler? Ans: It was seen that the young inexperienced man was about to wrestle a large and powerful man, who had great experience in wrestling. Even the Duke felt that the young man could get killed. He asked Celia and Rosalind to speak to the young man and persuade him to desist from the suicidal attempt. 2. What happened when Celia and Rosalind attempted to persuade the young man against wrestling? Ans: Celia and Rosalind tried to persuade the young man against wrestling. However, the man was rather moved by Rosalind’s concern and kindness. Instead of being persuaded he got further motivated to wrestle and win her heart by displaying his courage. He modestly affirmed that he would wrestle and requested them to offer him their good wishes. He said that even if he was defeated or killed, he would feel fortunate for their support. He had no one in the world and would leave it willingly. 2. Who asked Celia and Rosalind to persuade the young man? 3. Why was the young man willing to die? d) He had no one to lament for him. 4. It was Rosalind who first spoke to the young man. Ans: While the two wrestlers were fighting, Rosalind felt deep concern for the young man. She thought that he was also an unfortunate soul like her because he was friendless and willing to die. Her pity and interest grew to such an extent that she eventually fell in love with him. The concern shown by the ladies had empowered the young man. He was able to defeat his experienced and powerful opponent miraculously in such a way that the experienced wrestler was seriously injured. 2. Why did the Duke leave the place in ill humour? Ans: The Duke was at first pleased with the young man’s valour and enquired about his parentage. The young man said that he was Orlando, the youngest son of Sir Rowland de Boys. Sir Rowland was a true subject and dear friend of the banished duke during his lifetime. Frederick hated the fact that Orlando was the son of his brother’s supporter. So he left the place in ill humour. 3. What did Rosalind do after her uncle left the place? Ans: After her uncle left the place, Rosalind went up to Orlando. She was happy to have known that Orlando was the son of her father’s old friend. She took off her chain and gave it to Orlando saying that if she could she would have offered him more valuable presents. d) Sir Oliver de Nero. b) a supporter of Duke Frederick. D) 1T 2F 3T 4T. 1. Why did Frederick banish Rosalind? Ans: Frederick was angered by the mention of his brother’s supporter Sir Rowland de Boys. Moreover, he had increasingly felt a feeling of rising hatred against her neice because the common people praised her for her virtues and pitied her. He felt a burst of malice and ordered her to leave his palace and join her banished father. Ans: When Frederick banished Rosalind, Celia pleaded for her. She said to her father that as a child she did not understand Rosalind’s worth. Now that they have grown up together, sharing every experience, she had come to realize her value and the importance of their friendship. She requested her father to let Rosalind stay. In reply, the duke said that everyone praised and valued Rosalind’s silent smoothness. Celia was overshadowed by her stature. If Rosalind went away, people would find Celia more bright and virtuous. Thus he refused to accept Celia’s appeal. 3. How did the two sisters plan to escape? Ans: Celia had decided to accompany Rosalind and leave the palace. She knew that if they travelled in rich clothes it would be unsafe. So she decided to disguise herself and Rosalind as country maids. Rosalind suggested that it would be even safer if she dressed like a simple countryman and pretended to be Celia’s brother. Rosalind decided to call herself Ganymede, while Celia chose the name Aliena. 4. Celia was envious of Rosalind. Ans: After they reached the Forest of Arden, Rosalind and Celia faced much trouble. They found no comfortable shelter or food. Rosalind, who had till then comforted Celia by her spirited words, grew more and more tired. They did not know the exact location where the good duke lived. So they were afraid of being lost, or dying of starvation. Finally a countryman happened to pass their way and came to their rescue. 2. How did the two women manage to get accommodation in the forest? When they came to know that the countryman’s master was going to sell his house, the two women followed him. They bought the house and sheep from the shepherd and employed the countryman as their page. In this was they got a neat cottage with provisions where they could stay and learn about the good duke’s whereabouts. 1. Whose cottage did the women buy? 2. What did the women do with the countryman? b) They requested him to search for the duke. c) They employed him to assist them. d) They dismissed him to follow his master. 3. Why did Ganymede think that a man should console a woman? 4. Celia showed more physical endurance than Rosalind. Ans: Oliver had promised his dying father that he would take care of his younger brother Orlando and give him a proper education. However, he broke his promise and kept Orlando at home, untaught and neglected. When he saw that Orlando still grew up to be a dignified man, he wished to destroy him out of envy. Oliver set on people to persuade Orlando to wrestle with the famous wrestler so that Orlando would be killed. However, when Orlando defeated the wrestler, Oliver plotted to kill him by setting fire to his chamber. Ans: Adam, the old faithful servant of Sir Rowland, came to know about Oliver’s plan to burn Orlando’s room. He warned Orlando in advance and advised him to escape. He even offered him five hundred crowns, which he had saved during serving Sir Rowland. He also wished to serve him after he escaped. Adam helped Orlando because he was a faithful servant of his father. Adam loved Orlando because he resembled Sir Rowland. He wanted to save Orlando from the evil plots of wicked Oliver. 1. What had Oliver promised his father? 2. How had Oliver planned to kill Orlando? a) By setting him up against a powerful wrestler. 4. What did Adam offer Orlando? 1. Sir Rowland was an excellent man. 4. Adam had saved five hundred crowns for his old age. A. Answer the following questions: [5 MARKS] 1. Why did Orlando draw his sword in front of the good duke and his followers? Ans: As they came to the Forest of Arden, Orlando and Adam grew tired and hungry. Adam collapsed and thought that he would die of fatigue. Orlando comforted him and went about searching food. E saw the duke and his men about to begin their dinner. Orlando thought that people living in forests were always savage. So out of hunger and desperation he drew out his sword demanding their food to appease his and his servant’s hunger. Ans: Orlando refused the duke’s offer of eating dinner with him saying that his companion was a poor old man who followed him for love. He was also hungry and weak. Orlando could not eat before he ensured that Adam was fed and satisfied. This gesture reveals that Orlando was a compassionate and dignified man. He understood the value of humanity and showed both gratitude and dutifulness in his actions. After this Orlando rushed towards the place where Adam was lying and brought him back in his arms. He made sure that the old man was fed and revived before having his dinner. 2. Which aspect of Orlando’s nature does the passage reveal? 3. What conclusion can you draw about the Duke’s nature from the passage? 4. Adam was abandoned because he was a burden that Orlando wished to leave behind. Ganymede and Aliena were strangely surprised………. addressed to the right person. Ans: Orlando did not know that Ganymede was actually Rosalind in disguise. He was pleased with Ganymede’s graceful attitude. He thought he saw a reflection of Rosalind in Ganymede although Ganymede did not display any lady like quality. Ganymede appeared to be very forward in attitude and spoke with archness and humour. Ganymede told Orlando about a certain lover who haunted the Forest of Arden and carved the trees with the name of Rosalind. Ganymede said that this lover hung odes upon hawthorns and elegies on brambles praising Rosalind, and expres sed a desire to meet him and counsel him to cure him of his love. 2. What proposal did Ganymede make to Orlando? Ans: Upon hearing that Orlando was the strange lover who inscribed Rosalind’s name, Ganymede proposed him a remedy. Ganymede asked Orlando to come every day to their cottage. Ganymede would pretend to be Rosalind and Orlando would court Ganymede in the manner he would have courted Rosalind. Then Ganymede would imitate the fantastic ways the ladies act with their lovers which would make Orlando feel ashamed of his love and get cured of his affection. 3. How did Ganymede’s plan to ‘cure’ Orlando turn out? Ans: Following Ganymede’s counsel, Orlando visited their cottage every day. He called Ganymede ‘Rosalind’ and courted him appropriately. Although it was a playful sport, both were pleased. Ganymede enjoyed because the speeches were actually addressed to the real Rosalind. There was no sign of cure in Orlando’s passionate love of course. a) Curving her names on the trees. 1. Orlando thought that Ganymede was Rosalind. 2. Orlando carried Rosalind’s gift with him. 3. Ganymede assumed a forward manner. 4. Ganymede was pleased with Orlando’s flattering words addressed to Rosalind. A. Answer the following questions: [5 MARKS] 1. In what danger did Orlando find Oliver? Ans: Orlando found his brother Oliver lying asleep in the forest. A large green snake had twisted itself about his neck. The snake glided away with Orlando’s approach. Then he saw a lioness crouching close by, waiting to pounce on Oliver when he woke. In such double danger Orlando found Oliver. Ans: Orlando was moved by brotherly affection in seeing Oliver in mortal danger. His footsteps had already made the snake glide away. He attacked the lioness and slew her. In this way, he saved Oliver’s life. Oliver saw that his brother had risked his life to save him from the lioness. He felt ashamed of his cruel treatment of Orlando. Although he had come to the forest to harm Orlando, he now repented and sought forgiveness. He was now full of love and gratitude for Orlando who also in turn embraced him affectionately. 1. Orlando and Oliver were reconciled. 2. 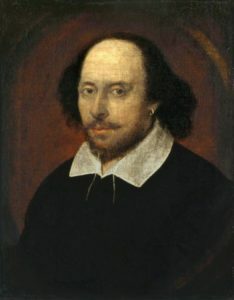 Oliver had come to the forest to harm Orlando. 3. Orlando’s anger was more powerful than his affection for Oliver. 4. Orlando was wounded by the snake. A. Answer the following questions: [5 MARKS] 1. What happened when Oliver went to the cottage to inform about Orlando’s injury? Ans: After reaching the shepherd’s cottage,Oliver narrated how Orlando had been injured. He also told them about his feeling of repentance and shame. The sincerity shown by Oliver moved Aliena so much that she fell in love with him. Oliver also fell in love with her seeing her sympathy. Meanwhile they attended to Ganymede who had fainted on hearing about Orlando’s injury. Upon recovering, Ganymede tried to convince Oliver that it was a feigned faint. However, Oliver guessed that Ganymede had really fainted and he felt very confused. 2. What did Oliver tell Orlando after returning from the cottage? Ans: After returning from the cottage, Oliver told Orlando about how Ganymede had fainted on hearing about Orlando’s injury. He told Orlando how he had fallen in love with the fair shepherdess Aliena who had also responded encouragingly. He had planned to marry Aliena and settle with her as a shepherd in the forest while he conferred his house and estate upon Orlando. a) he was the brother of Orlando. 1. The wound made Orlando feel weak. 2. Oliver and Aliena fell in love with each other. 3. Ganymede responded to Orlando’s news with manly boldness. 4. Oliver had undergone a complete transformation. When Orlando and Ganymede began to…………………………….. transformed into the lady Celia. Ans: Ganymede said to Orlando that Orlando could have his wish of marrying Rosalind the next morning because he could try to make Rosalind appear in her own person, ready to marry Orlando. Ganymede said that he could realize Orlando’s desire by the help of magic which he said he had learnt from his uncle who was a famous magician. 2. When and how did Ganymede make Rosalind appear? Ganymede came up to the good duke and asked him whether he would give his consent to Rosalind’s marriage with Orlando. The Duke gave his consent whole heartedly. Then Ganymede went up to Orlando and asked if he was ready to marry Rosalind and he gave his consent too. Getting the consent of both father and groom, Ganymede went out with Aliena and threw off her male garments. She transformed into Rosalind and appeared in front of the surprised people. d) meet his uncle to learn magic. d) there was no priest. 2. Orlando declined from his proposal to marry Rosalind. 3. Ganymede used magic to bring Rosalind. 4. Celia and Rosalind got rid of their disguises. B) 1T 2T 3F 4T. D) 1T 2F 3F 4F. A. Answer the following questions: [5 MARKS] 1. Describe the double wedding. Ans: Although the double wedding of Oliver-Celia and Orlando-Rosalind could not take place with any parade of splendor, the ceremonies were filled with joy. He brides and grooms were married under the shades of pleasant trees. The wedding was followed by a sumptuous feast of venison. 2. What did the messenger inform? An unexpected messenger arrived to inform that the dukedom was restored to the good duke. This was made possible by a strange incident. 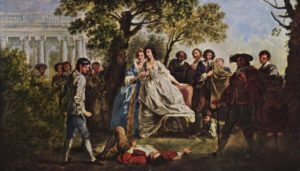 Duke Frederick had been furious at Celia’s escape. He had heard about the good Duke’s popularity. He had decided to attack the good duke with a large military force. However, just as he entered the borders of the forest, he came across a hermit who transformed him from wickedness to piety. Frederick decided to spend the rest of his life in a religious house and give back the dukedom to his brother. a) renounced the material world. b) gave back the dukedom to his brother. a) with a large army. 1. The messenger was sent by Duke Frederick. 3. Frederick lived with his brother at the palace. 4. Celia was sad because she was no more the heir.